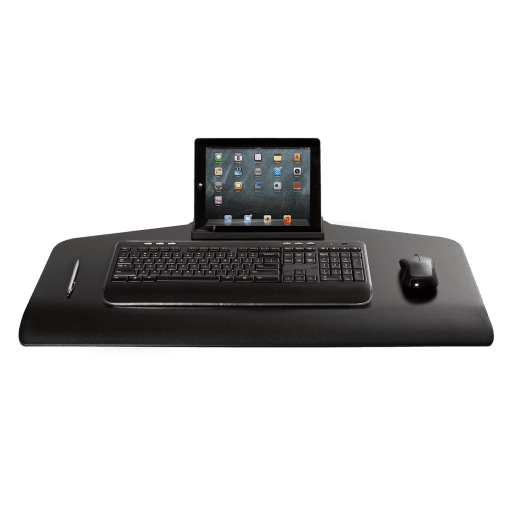 Sit-stand workstation with compact work surface. 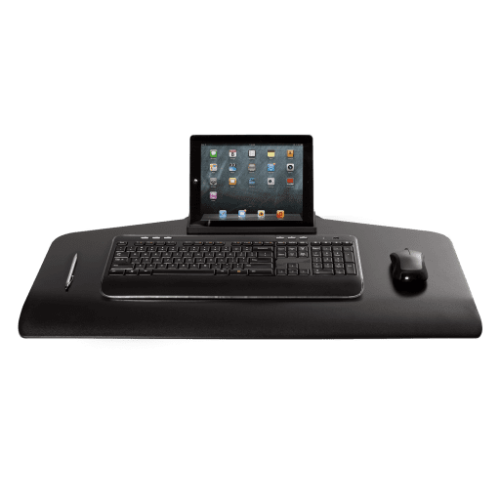 Freestanding base retrofits to smaller desk spaces. Push-button height adjustment. Single monitor mount.